Ubisoft's name has been mud with PC gamers for a good long while. Ending always-on requirement to play games and other DRM restrictions helped it somewhat, but it is still widely perceived as a publisher most interested in Xbox 360 and PlayStation 3 titles—and for good reason, as Rayman Legends fans might say. So the decision to offer third-party PC titles over the uPlay service is a kind of olive branch to the Glorious Master Race. 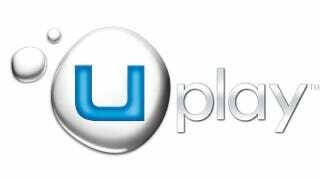 Speaking to MCV, Stephanie Perotti, the global boss for uPlay, said the new listings "shows our commitment to PC, and we want to improve our relationship with the PC community." "We are always seeking to improve," she added. "With every game on PC we are improving. Far Cry 3 and Assassin's Creed III on PC were very high quality." That's not the point, when Assassin's Creed III is delayed by a month on PC, it sends a message of second-class citizenship to a PC gamer. But, OK, listing 30 non-Ubisoft titles is something, I guess. Perotti said the company has plans to sell digital cards similar to Xbox Live points cards, Steam wallet funds and other virtual gift certificates found at physical retailers.